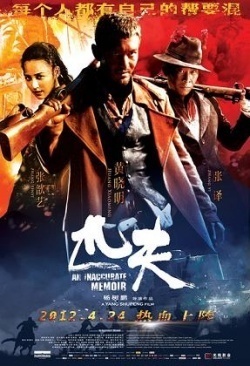 Movie is set during a period of time when Japanese invaded China. The story is told from Gao's perspective, a soldier seeking revenge from the Japanese in trying to assassinate the visiting Japanese chief in command. In the process of plotting such scheme, he had a chance encounter with a local Mafia, lead by its charismatic leader Fang. Fang had a bandit of followers, of which one is Fang's sister. Fang in the past have rescued many of these followers using his own blood and as a result all the members in the bandit formed a life long bond and friendship. When Gao realizes he could use the firearms and man power of Fang's bandit, he sets up a scheme to get captured by Fang on purpose. When Fang found out - he was extremely angry and upset and almost killed Gao, but Gao is saved by Fang's sister because she clearly developed feelings for Gao after seeing how he fared during the interrogation phases when he was in Fang's capture. Gao later redeems himself by saving Fang and all of his .